Superb Enterprises Pvt. Ltd., based in New Delhi, is an authorized agency for Certificate Attestation, Apostille services by Ministry of External Affairs, New Delhi and visa application services for Diplomatic Missions in India. We essentially, provide the best services in a speedy and affordable manner. Testimonials from our loyal customers affirm this fact. We have a dedicated customer care service to handle all your concerns. After you submit your case to us, you can be rest assured of the personalized services provided by our dedicated staff. SEPL is an ISO 9001:2008 certified company , conceived in 2008 , to provide all services related to Apostille / Attestation of documents, Visa applications and translation of documents respectively . 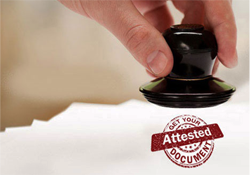 The Ministry of External Affairs (MEA), Government of India has accredited us as their Authorized Service Provider for attestation and apostille services. The Cultural Division of Oman Embassy and the Cultural Division of Yemen Embassy has allocated to us the entire work of culture attestation , including documents for verification. 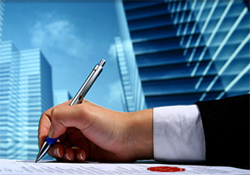 We also provide certificate attestation for various countries like Saudi Arabia, Kuwait, UAE, Bahrain etc. We provide translation services in many foreign languages - Arabic, Spanish, French, German, Italian, Portugal, Russian, Malaysian and Chinese, for any type of document. Moreover, Ministry of Overseas Indian Affairs (MOIA), Government of India, has granted Superb Enterprises an ‘A’ Category license , which enable us to recruit unlimited manpower for countries abroad in all specializations. Recently, we have started our sister concern Superbmytrip, which deals in travel services. We are an IATA certified organization and provide domestic and international packages. We organize all inclusive packages consisting of tickets, travel insurance, accommodation respectively at affordable rates.